Homeowners looking for a quality Trane central air conditioner that is very affordable and still quite efficient often choose the Trane Standard Efficiency XB14. It offers an Energy Star-qualifying 16.0 SEER that will lower cooling costs by 25% to 40% in many homes, giving you the chance to save on equipment costs and on your monthly utility bills. This HVAC prices post from Jordan in Oxford, Ohio gives a Trane Standard Efficiency XB14 central air conditioner price and a helpful reminder to use professional installation. 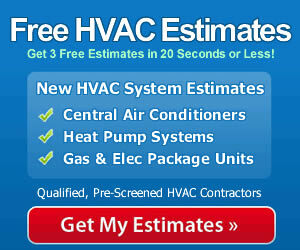 Will save up to 25% or more in ongoing cooling costs in most homes. ClimaTuff compressor is quiet, efficient and durable. Outdoor coil is built with all-aluminum spine fins that work efficiently and resist corrosion. Durable galvanized steel cabinet with steel louvered sides. Equipped for Trane CleanEffects whole-house air purifying system – an option. Uses R-410A environmentally safe refrigerant. 7 sizes offered from 1.5 to 5.0 ton cooling capacity. 10-year limited warranty on the compressor and 5-year limited warranty on the coil and other parts. Jordan is a handy guy but still believed it best to hire a qualified contractor with a good reputation to do the install. When you are gathering central air conditioner prices, factor in the cost of professional installation and realize that having it done correctly is the best way to get the highest efficiency and the greatest longevity from your air conditioner. In other words, it is worth it in the end to have a pro do it right.